In 1999 this car was sent off to the Arden factory in Germany. Arden fitted the car with an over sized crank pulley to spin the supercharger faster giving more boost. A piggy-backed ECU was fitted to remap and remove the speed limiter. Lowered by 40mm with up rated progressive springs and Bilstein shorter Electronically Adjustable C.A.T shock absorbers. Arden also removed the secondary rear pair of silencers. The car now produces 450bhp. 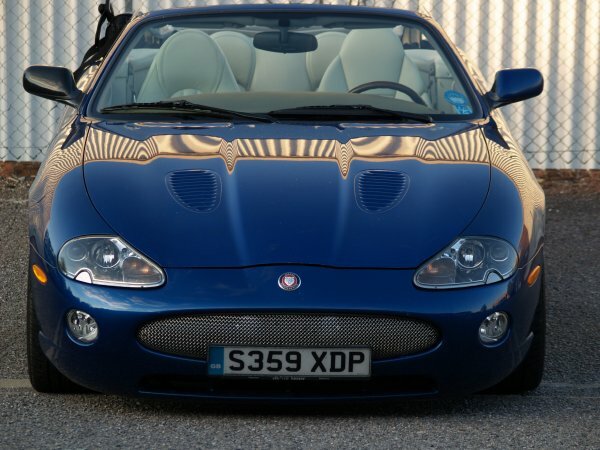 The car was then imported in to the UK in 2004. 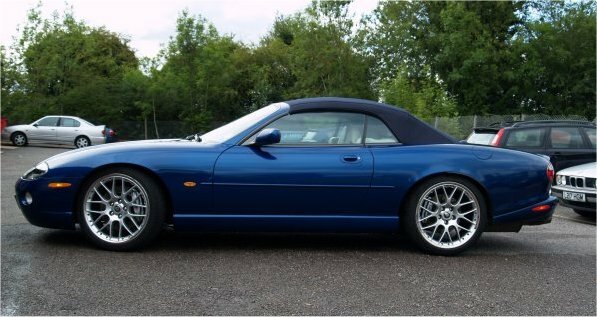 Since its purchase in 2004 it has been fitted with the later jewel style tail lights, larger rear boot spoiler, rear wheel arch extenders and pair of later style side sills. At the front it has had the latest style front bumper with new front grille and fog lights fitted . The old brake discs and callipers have been replaced with Brembo discs and Alcon 6 pot callipers to improve braking. Then to finish off with 20 inch BBS split rim wheels with Pirelli 255 35 20 tyres on the front and 285/30 20 on the rear. In 2008 the car was stripped back to a shell and has since been rebuilt as a 4.2 taking all parts from a donor car. 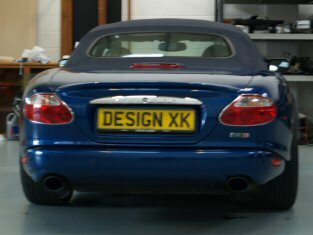 Copyright © 2005-14 designXKR. All rights reserved.